Strafor is a Texas-based global intelligence company. For the United States, Romania is a key ally on NATO’s eastern edge. Situated on the shores of the Black Sea and bordering, among other countries, Moldova and Ukraine, Romania is a strategic partner in the competition between the West and Russia for influence in the borderlands. And since the outbreak of the Ukraine conflict, Romania has joined Poland and the Baltic states in pushing for a greater U.S. and NATO presence in the region. In fact, Romania over the past few years has become one of the most pro-Western countries in Eastern Europe. Beginning in the mid-1990s, the United States and Romania developed a close working relationship, especially between the Romanian Intelligence Service and its U.S. counterparts. More recently, the relationship has begun to focus on U.S. investment, specifically in energy resources: Romania has potentially large crude oil and natural gas onshore resources as well as deep-water offshore reserves. Understandably, promoting stability in Romania and reducing Russian influence are key U.S. goals. Active support from Washington for anti-corruption efforts in Romania is just one tool for the United States to achieve its aims. For the European Union, a stable Romania immune to Russian political influence is also a priority. Like the United States, the bloc sees Romania as a highly strategic NATO member. At the same time, many EU governments wish Romania, one of the union’s poorest members, would do a better job of keeping its citizens inside its borders. In 2007, the year Bucharest joined the European Union, over half a million Romanians left the country seeking economic opportunities elsewhere. Since then, the number of departing Romanians has declined, partly because the European Union funded efforts to improve Bucharest’s economic conditions. Between 2014 and 2020, Romania is expected to receive €23 billion (roughly $26 billion) from the EU Cohesion Fund. Anti-corruption efforts are not only a tool for ensuring Romania’s commitment to the West but also a way of enticing potential Romanian migrants to stay in their home country. The anti-corruption campaign has been expanding, if not speeding up, in ways that have a profound meaning for Romania. Rather than being a series of snap operations, efforts to root out corruption have the potential to bring about institutional change by turning the spotlight on the upper echelons of government. Mayors, ministers, members of parliament and a former prime minister have been targeted, in addition to other officials and relatives of high-ranking politicians. Charges include bribery, money laundering and abuse of power. The impact has been far-reaching, and the investigation, as it turns out, is still far from over. Ponta is only the most recent target. Other high-ranking Romanian politicians have fallen victim to the anti-corruption campaign, with parliament even agreeing to remove immunity from prosecution for some of its members, resulting in some politicians receiving jail time. However, the National Anti-Corruption Directorate’s decision to ask parliament to lift the immunity of a sitting prime minister — and the legislature’s subsequent refusal to do so — is a notable episode in the directorate’s attempts to challenge corrupt practices and entrenched interests. Outside powers played a key role in encouraging and facilitating the comprehensive anti-corruption campaign in Romania. The two Romanian government agencies behind the campaign, the National Anti-Corruption Directorate and the Romanian Intelligence Service, have strong ties to the West, especially on issues such as terrorism, cybersecurity, corruption and organized crime. The United States actively supports the anti-corruption drive; the head of the directorate, Laura Kövesi, received an award from the U.S. Embassy in Bucharest in 2014. When FBI Director James Comey visited Romania in March 2015, he held meetings with Kövesi and with the new head of the Romanian Intelligence Service, Eduard Hellvig, among others. The United States has also taken direct steps to confront corrupt practices in Romania: Hoyt Yee, the U.S. deputy assistant secretary at the Bureau of European and Eurasian Affairs at the State Department, said in a May hearing on Capitol Hill that some Romanian officials were banned from entering the United States because of corruption charges. Establishing strong relations with Romanian agencies and offering them access to U.S. expertise when conducting their own tasks is an important element in Washington’s efforts to secure a stable political system in Eastern Europe, with little room for exploitation by disruptive or criminal elements. Previous attempts to battle corruption were largely ineffective until the Social Democratic Party lost control of the government in 2005. Some members of the Bucharest elite had overt connections with the Kremlin, dating back to when the communist dictatorship ruled over Romania. While the dominant political culture survived, along with practices that had been tolerated for years, the opposition did not begin to tackle corruption in earnest until 2013, when Kövesi took control of the National Anti-Corruption Directorate. With intelligence service involvement, Kövesi’s agency began prosecuting politicians across all parties and levels of government. But the task is formidable. Even now, and despite Kövesi’s best efforts, there remains a significant bastion of corruption in Romanian political and business circles that will continue to destabilize the country. The parliament’s vote to allow the prime minister to retain his political immunity is an example of the continued resistance — if not resilience — of Romania’s political system against the anti-corruption trend. It is important to realize that so far, only a small segment of society has been directly affected by the growing institutional adjustment. Investigations and charges have, of course, impacted members of all major political parties across all echelons of government. But the anti-corruption campaign has not, as yet, transformed more than just a few of the country’s enduring institutions. Many other individuals are potential targets for prosecution, and they have an immediate self-interest when it comes to protecting themselves. The public’s reaction to the parliamentary decision preserving Ponta’s immunity will indicate the extent to which institutional change is a priority for Romanian voters, as opposed to politicians. Romania is not the only country in the region to have attracted the interest of Western governments with a strong stance on reducing corruption. Washington banned six Hungarian officials, including the head of the Hungarian Tax and Customs Administration, from entering the United States in October 2014. The same treatment was reserved for several Bulgarian officials. Hungary and Bulgaria are both countries where certain businessmen and some notable oligarchs have ties to Russia. The United States is particularly concerned about potential Kremlin influence over political decision-making in these countries. Regarding Bulgaria, Germany has been highly vocal in support of anti-corruption measures, drawing attention to Romania’s progress in this area, and Bulgaria’s lack thereof. Bulgarian officials, however, have resisted efforts to empower the country’s judiciary. Tension over the situation in Ukraine and increased competition in the borderlands is likely to continue, and with it, increased U.S. efforts to combat corruption and reduce illicit Russian influence. Romania’s anti-corruption campaign will not always be able to overcome the powerful interests entrenched in the country’s political system. The confirmation of Ponta’s immunity illustrates this resistance to change. But the campaign’s recent successes — ordering the resignation or arrest of prominent figures — point to change nonetheless. Regardless of whether Ponta is replaced, the anti-corruption drive heralds an institutional shift in Romanian politics, for better and worse. The campaign could slow down reforms, impede business transactions and create uncertainty in Romania’s bureaucracy as officials adjust their practices to meet new conditions. But in the long run, the anti-corruption campaign has the power to create an innovative business climate and make Romania a more reliable ally for Western governments in the region. 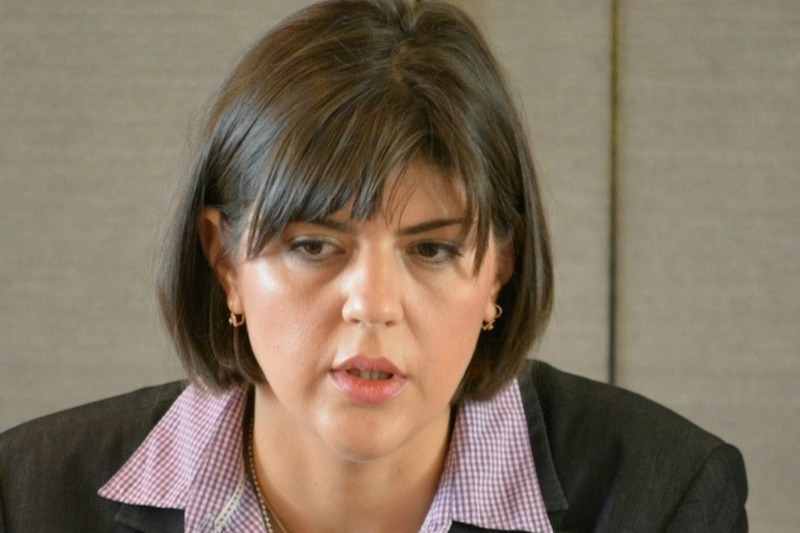 Americans used to say ” if it ain’t broke, don’t fix it ” But that’s exactly what they are doing in Romania, supporting the out of society control Kovesi “coup d’etat” against the democratic elected government. That’s not the way they should gain popularity in the region but they probably know it.